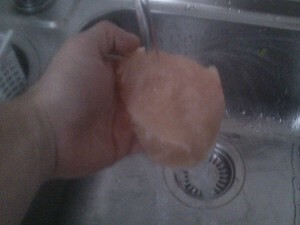 Add 4 pinches of Spice mix for poultry. 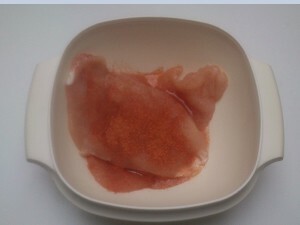 Spice mix for poultry contains: salt, pepper, sweet pepper, garlic, marjoram, rosemary. 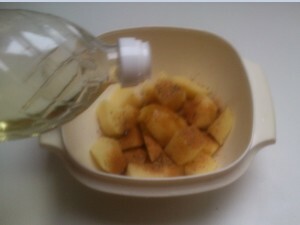 Add 1 spoon of oil. 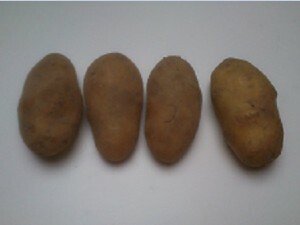 Pill potatos and cut them to little pieces. 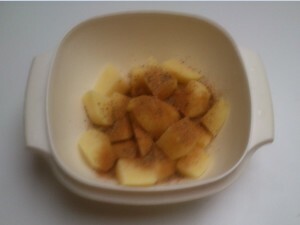 Add 4 pinches of Spice mix for baked potatos. 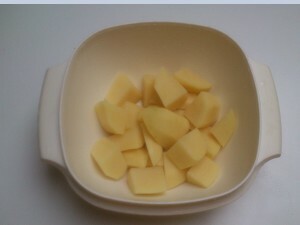 Spice mix for baked potatos contains: salt, garlic, cumin, coriander, parsley, red pepper, pepper, nutmeg. 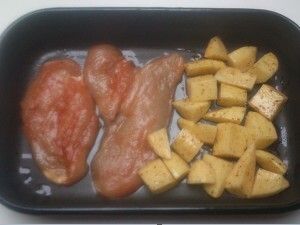 Put chicken fillets and potato in baking tray. 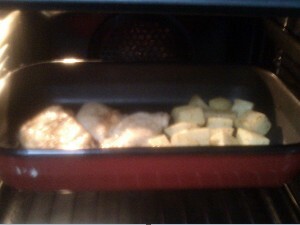 Put baking tray in the oven for about 40 minutes at 190 degrees. 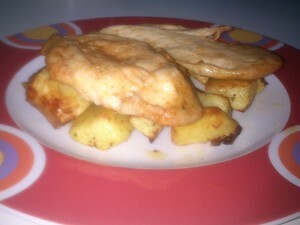 After 20 minutes turn chicken fillets and mix potato.